With a beautiful riverfront setting and thriving arts culture, Spokane is one of Washington state’s most sought-after cities. However, if you’re a resident of the area, you’ll know there is nothing quite like a mountain getaway from the city every once in a while. If you’re searching for the perfect weekend getaways from Spokane, we invite you to Leavenworth, WA in the Cascade Mountains! With fantastic outdoor activities, a Bavarian-inspired village, and stunning natural scenery, our one-of-a-kind destination attracts thousands of visitors each year for unforgettable vacations. Ready for a relaxing escape to Leavenworth? Here are some of our best ideas for things to do during weekend getaways from Spokane! You can also find a wide variety of other activities by downloading your free copy of our Leavenworth Vacation Guide! Get Your FREE Leavenworth Vacation Guide Right Now! Need a Place to Stay? Welcome to Pine River Ranch! 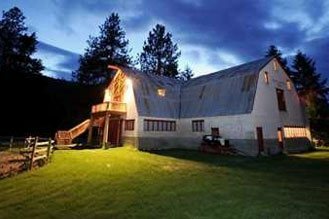 Located right outside the Bavarian-inspired village of Leavenworth and nestled within the natural beauty of the Cascades, Pine River Ranch is a romantic bed & breakfast and wedding destination unlike any other. 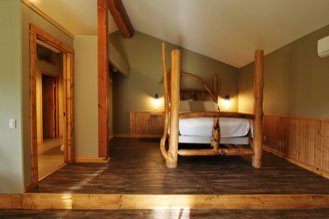 With scenic views of the mountains, rustic-style suites, and a variety of unique amenities, you and your loved ones will have everything you need to relax and rejuvenate in a peaceful and tranquil setting. Guests of our bed & breakfast are also treated to a complimentary hot breakfast delivered straight to their door each morning. This gives you the opportunity to indulge in a tasty meal inside your suite or on the porch overlooking the lovely property before embarking on your Leavenworth adventures. Our location near Stevens Pass also makes it easy for you to enjoy the nearby hiking trails in the summertime and snowshoeing in the colder months, which we provide to our guests for free. We invite you to make yourselves at home with us and make memories that will last a lifetime! Exploring the Bavarian village of Leavenworth is a must for any getaway in Washington! In addition to traditional German architecture and fairy-tale worthy charm, you will discover a wide range of unique shops and restaurants. Many visitors love to browse through downtown’s museums, candy shops, and boutiques before stopping for a traditional meal at Andreas Keller or Munchen Haus. It’s a great way to spend the day together while experiencing the best that Leavenworth has to offer. If you foster an adventurous spirit, you’re bound to fall in love with Leavenworth’s local parks. From Front Street Park in the heart of Downtown Leavenworth to the magnificent wilderness known as the Enchantments, you’ll find plenty of ways to explore, relax, and discover rare natural beauty. Waterfront Park is another popular outdoor haven and provides a variety of recreation opportunities including hiking and biking, wildlife viewing, and enjoying a refreshing swim at the small beach inlets. From food festivals to seasonal celebrations, Leavenworth’s calendar is always filled with exciting events that you certainly won’t want to miss. Choosing our favorite is an infeasible task, so we have narrowed down the list to just some of our personal favorites! Bavarian Icefest (January): Each Martin Luther King Jr. weekend, Leavenworth celebrates winter’s bounty with the Bavarian Icefest! Visitors will be able to enjoy a wide array of winter activities including snow sculptures, ice carving, and the popular snowmobile sled pull. Maifest (May): The Bavarian village of Leavenworth will be tapping into its German roots to bring you a full weekend of music, dancing, and fun! Of course, the main event is the traditional dancing around the Maifest pole. Leavenworth Wine Walk (June and September): Take a stroll through Downtown Leavenworth and sample some of the region’s best wines along the way! More than 20 tasting rooms and sites will be providing visitors with tasty selections from wineries all over Leavenworth and beyond. You’ll also have the chance to try specialty cheeses, win prizes, and enjoy live music. Leavenworth Oktoberfest (September and October): This is one of the nation’s largest Oktoberfest events! Visitors from all over the country flock to our village each fall to indulge in traditional festivities, fantastic food, and of course, lots and lots of beer. Christmas Lighting Festival (December): The yuletide event takes place each weekend in December and provides plenty of holiday cheer for visitors young and old. The entire village will be illuminated with over half a million dazzling Christmas lights as you enjoy activities such as sledding, meetings with Santa, live entertainment, and more. No matter what time of year you visit Leavenworth, there is always something to do. However, planning accordingly is important since some activities are only seasonal and may not be available when you arrive. Take a look at some of the most popular things to do in the great outdoors and what time of year you can enjoy them! 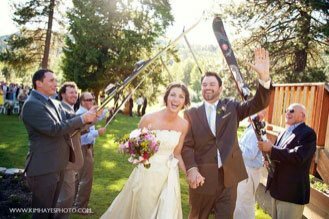 Whether you’re planning a couple’s getaway in Washington or a fun-filled getaway with your friends, Pine River Ranch is excited to welcome you! May we suggest the Evergreen Suite, a spacious two-room suite with fantastic views of our historic barn. During your stay, you’ll also enjoy a stand-alone fireplace to warm up on those chilly nights, a large bathroom with a make-up counter, a cozy elevated bed, and more. If you want to add a little something extra to your getaway, take a look at our romantic add-ons and vacation packages. 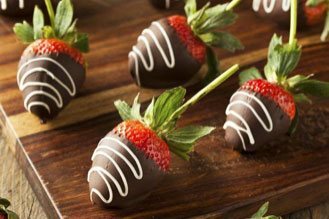 It’s a great way to surprise your sweetheart and show that you’ve been thinking about them. Check our availability now and book your favorite room with us today! We look forward to seeing you soon.